You read it right, 3D technology is coming to your smartphones too. Sharp is all set to launch two glasses free 3D enabled handsets in Japan and what makes the deal even sweeter is the fact that, both these handsets will be powered by Linux based Android operating system. Future is indeed now. At least, that is the case with today's smartphone dominated world. No other device is getting the kind of attention that smartphones gets. New ideas and innovations happen almost every day. Mozilla's Seabird concept phone being a perfect example. One of the most striking features of this smartphone revolution is the overwhelming presence of Linux and Open Source in the form of Android, MeeGo and even Nokia's Symbian which recently became an Open Source software. According to Gartner, Android will become the second most popular mobile operating system by 2010 year end itself. According to engadget, Sharp is all set to launch two glasses free 3D enabled Android based handsets bearing the names Galapagos 003SH and 005SH. Both handsets sport 1GHz Snapdragon CPUs, Android 2.2, and a 3.8-inch 3D-capable display with 800 x 480 pixel resolution. 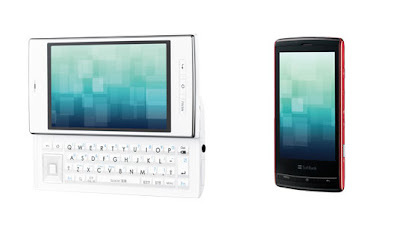 The main difference between the two is the full QWERTY keyboard on the 005SH, but 003SH makes up for it with a slightly better camera, a 9.6 megapixel model capable of recording 720p video, while 005SH sports a 8-megapixel camera.